(Natural News) It’s bad enough that high-strung, perpetually angry Leftists can’t even come up with a truthful, coherent and logical reason as to why they suddenly hate Immigration and Customs Enforcement so much, but it’s even worse that they’re willing to destroy government property and create an environmental hazard to display their hate. Recently federal law enforcement officers were forced to clear a group of “Anti-ICE” protestors who had camped out and erected barriers of sorts at an ICE facility in Portland, Ore., blocking federal officials from accessing the building for a month. After putting up eviction notices and threatening the demonstrators with arrest and/or citation if they failed to leave earlier this week, by the next day some began packing up and dismantling the squalid ‘camp,’ claiming they would be donating most of their gear to other ICE protesters. By the time the federal cops cleared out the last of the Leftists, they discovered a mess of unimaginable proportion. The Daily Wire reported that the Marxist revolutionary wannabes “left a mess so large that the city had to hire private contractors to clean it up.” Videos of the protester camp show large amounts of garbage, large haphazardly-built structures, clothing, mattresses, and of course portable toilets. But the mess was so bad these Left-wing champions of the environment managed to raise safety and biohazard concerns among city officials and the clean-up contractor. The Portland Police Bureau determined last week that it was time to do something about the camp, Outlaw said. The bureau had received 76 calls for service to the camp, 41 of which required an officer response. There were also at least 13 online complaints about the conditions at the camp or behaviors of the campers. And let’s not forget about the “compassion” of these Left-wing do-gooders. Portland Police Chief Danielle Outlaw (isn’t her name hysterically ironic?) told local media that roads protesters were blocking entrances to a number of medical facilities; in some cases, the blocking of roads delayed patients getting medical care quickly, which they needed. “We knew we had to get ahead of it before it spiraled out of control,” said Outlaw, who noted further that she had consulted with Mayor Ted Wheeler and both agreed it was time to evict the demonstrators. When police arrived not only did they discover squalid conditions, but also nails, feces, and needles. Like other “anti-ICE” protesters, those who stunk up and desecrated the Portland facility seem too wrapped up in Trump hate to hold illegal immigrants themselves liable for trying to sneak into the U.S. while scores of other immigrants to American are going through the system the right way. As for border policy, POTUS Trump pledged – repeatedly – on the campaign trail in 2015 and 2016 that he would enforce all immigration laws if elected. Many political analysts believe he won in large part on that pledge. Trump may also be getting some help soon from Mexican President-elect Andres Manuel Lopez Obrador, or AMLO. He sent the president a letter this week pledging to work with the U.S. to shore up security on both sides of the border to help reduce illegal immigration. 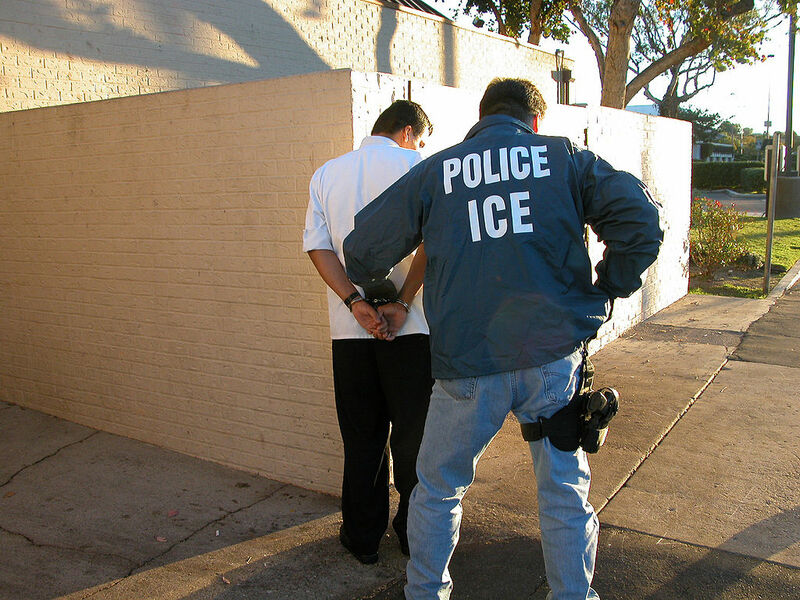 Read more about anti-ICE chaos at Chaos.news.